I’ve been working from home for a number of years now and that fact, together with being self-employed, often means that you find that the boundaries between work and home blur. It’s all too easy to continue working into the evening or get on the computer at the weekend. The temptation is to just check those emails or have a look at something else. At my last home, it was quite difficult to separate home and work as my office was in my bedroom. It makes it harder to switch off. It’s a bit easier in my current home because I have more space and I have a dedicated home office, but even then it’s very easy just to pop on the computer to ‘just’ do something. That isn’t good for our health, our well being and our families though and it’s better to have a clearer boundary between work and home. Obviously, one solution is to rent office space, but then you get into ongoing costs, money down the drain on rent and potentially a commute (with all the hassle and costs that go with that). That’s why I’m considering a more radical solution like a garden office. 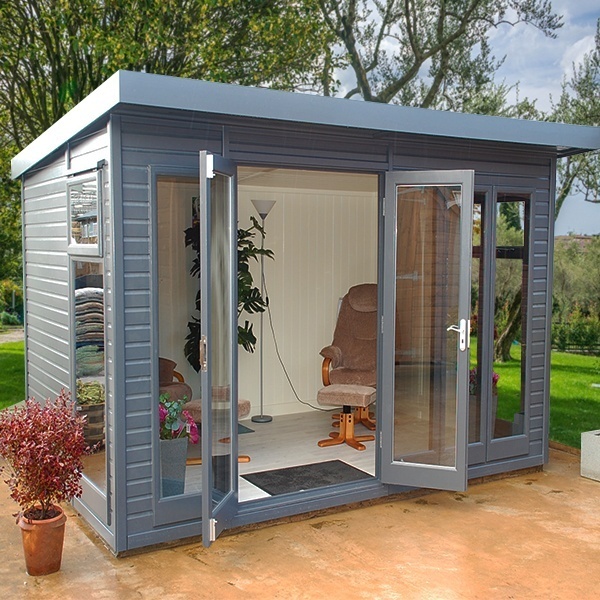 I’ve been taking a look at insulated garden offices from GBC Group and seeing what it would be possible to achieve. I think that would let me get the balance right between home and work. I’d actually have to leave the house to work, so there is a physical separation. Even that small barrier would make all the speak of anyway), but I’d still be able to answer the door to parcel deliveries and keep an eye on things at home. It still would be no problem if I needed to be around to allow tradespeople access to get jobs done. It seems to me that it would be the best of both worlds. The other thing is that it would force me to get dressed and ready for the day. There’s a tendency for me to work in my pyjamas, which is nice and cosy, but I think I get more work done if I am dressed as it makes me feel more professional.